If you love watching movies on your smartphone or tablet, then having a feature-rich video player is a must. Every smartphone now comes with a built-in video player but there are some features missing from them most of the times. So, if you have an Android device, then you can download MX Player 1.8.9 APK for Android and install the app manually to get the best experience while watching movies or music videos. The app is available in Google Play Store, so you can download or update the app directly from there. With MX Player app installed on your device, you will be able to play most of the popular video formats and with features like hardware acceleration and multi-core decoding, it gives you the best performance when compared to other video players for Android. So, you should download the latest version of the app, i.e. 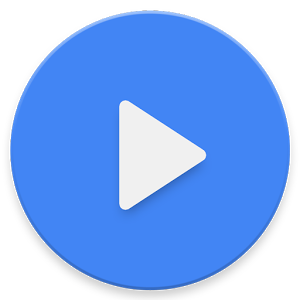 MX Player 1.8.9 APK file and install it manually or get the updates directly from Google Play Store. In this article, we will see the features of the app as well as the new updates and how to download the APK file of the video player. The application is completely free to download but contains displays some ads when the Internet connection is active. There are features like hardware acceleration that can be applied to more videos using the new HW+ decoder. The app is the first video player for Android that supports multi-core decoding and increases the device’s performance up to 70%. While watching a video or movie on the app, you can pinch and swipe on the screen with your fingers to zoom in or zoom out. 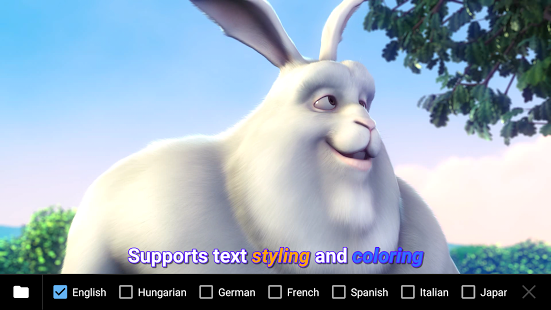 When using subtitles, you can swipe forward or backward on the subtitles to move to the next sentence. Moreover, you can swipe up/down on the left side of the screen to increase/decrease the brightness and you can swipe up/down on the right side of the screen to increase/decrease the volume of the video. Other features of the app include a kids lock that locks the screen while you are playing a video. This will completely disable any other function of the phone to ensure that unwanted calls are not made or any other apps are not touched. What’s New in MX Player 1.8.9? An alternative HW+ decoder has been added to Android 5.0 which will be automatically used on Android 7. It now supports Android 7’s multi-window features. Added a new option of playing without the video display on. To download the latest version of the media player app on your Android device, you can go to Google Play Store on your phone and get it from there. You can download and install it directly or get the updates if the app is already installed on your device. However, if you are unable to get the latest version of the app from Google Play Store due to some errors, then you can use the link given below to download the latest MX Player APK file and then install the updates manually. You can download the most recent version of MX Player app by clicking here! Once the download process is complete, go to Settings > Security on your smartphone and then enable the installation from Unknown Sources option. You will be able to install the APK file manually only if this option is enabled. You can now go to the file explorer app installed on your smartphone to go to the downloads folder and install the application from there. This is how you can download MX Player 1.8.9 APK for Android, which is the latest version of the app! If you liked the article, then share it with your friends so that they too can get the latest updates on their devices.